Cardiovascular disease such as heart failure, cardiac arrhythmias, pericardial effusion, endocarditis and hypertension. Respiratory disease such as nasal discharge, noisy respiration, difficulty breathing, chronic cough, and chest fluid. Endocrine disease involving abnormalities of the adrenal, pituitary, thyroid, parathyroid glands and insulin-secreting pancreas. Gastrointestinal disease such as difficulty swallowing, regurgitation, chronic vomiting, diarrhea and constipation, diseases of the liver, gallbladder and exocrine pancreas. Nervous disorders including seizures, changes in mental status, weakness and paralysis. Urinary disease such as renal (kidney) failure, chronic urinary tract infection, and urinary incontinence. Immune-mediated disease and hematopoietic disorders such as anemia, coagulation and blood clotting abnormalities, and enlargement of the lymph nodes or spleen. The internal medicine service at OVRA has diagnostic technologies that include on-site medical laboratory equipment, and non-invasive abdominal and thoracic ultrasound, echocardiography, blood pressure and ECG evaluation. OVRA also has complete videoendoscopic capability to perform otoscopy, rhinoscopy, laryngoscopy, bronchoscopy, upper and lower gastrointestinal endoscopy and cystoscopy. 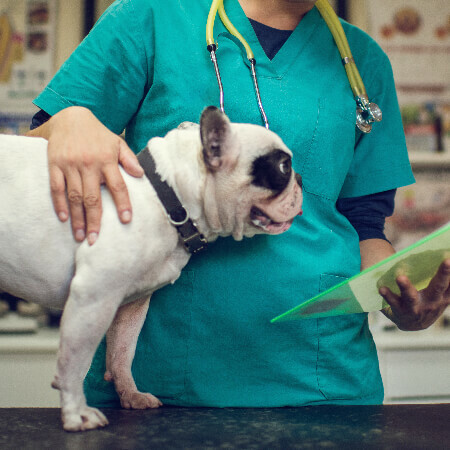 Click here to visit the American College of Veterinary Internal Medicine.